The duo consists of vocalist, guitarist and keyboardist Keith Murray and bassist Chris Cain. The two have also become known for their off-the-cuff banter both on stage and in interviews. Murray spoke with the Technique recently about the group’s music, their upcoming album deluxe release, as well as their April 24 show at the Tabernacle. Technique: First of all, thank you so much for doing this and congrats on the new album coming out. I just want to jump right in. You guys are releasing a new album this month, so could you talk about the story behind it. Keith Murray: Since our fourth album, “TV en Français,” weve been doing a lot more self producing in preparation for every album, and it’s increased and increased and increased, and with that album we started this tradition of reworking all of the songs on it. That album we put out — you can’t really call it an acoustic album because it’s weird versions of all the songs, but since we have been increasingly producing these songs at home on our own and then bringing them into a studio with our producer partially recorded. We always have these other existing versions that have been worked on before anyone else has told us that those are the incorrect versions of those songs. We now get attatched to the many varietals of a certain song and hate to see them disappear. Technique: Does this album contain more of those first takes? Murray: Yeah. I know we’ve got a few of our individual versions. There are a bunch of my songs that are the versions I recorded entirely by myself and then sent to our producer. I know Chris has one of his songs. Then there are a few others that Chris and I got together after the album was done. Trying to give radio shows and media outlets exclusive content we will do third and fourth and fifth versions of songs. I know Chris has a remix. Now most of the time, the essence of the song is in our hands — in our hardrives to be more practical about it. We just like never really feel there’s a definitive finished version of not even just the song, but of that actual recording. Technique: Would you say there is that kind of overarching theme that is the connection for all the songs on the new album? Murray: Yeah I think so. Theres a lot of thought about communication and the way communication very easily breaks down. Also, theres an ear to all of the songs that coheres them which is funny because I think all of our albums have gotten more and more disparate in their sounds the more we do this. I think this album is the most varied sonically. I think part of it is just a feeling in our gut of which ten songs — even if those aren’t our ten favorite. There tend to be ten songs that feel like they sit together really well. Technique: The name — We Are Scientists ­— I read that it was a tribute to a song and also someone asked if you guys were scientists. Do you have any more to add to where that name came from and why it stuck with you guys? Murray: The second one is the actual story. It was just a random stranger who saw us all together and asked if we were scientists. We kind of took it as a badge of — not necessarily honor. He definitely didn’t mean it as a compliment, what he meant was we all looked like we were weak nerds, but I think we liked that a totally random stranger at least recognized that there was something that suggested a team in the three of us. He knew that we all did something together. If he had to guess what it was that we did based on our appearance alone, I guess he would assume that we were scientists. Technique: Thank you so much for your time and good luck on the new album. 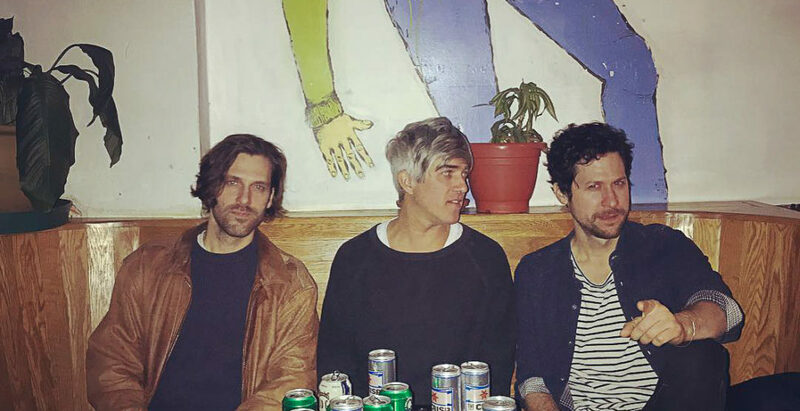 We Are Scientists releases “Megaplex: Rise of the Lycans” later this year. The duo will be playing a show in Atlanta on April 24 at the Tabernacle.